The price of oil has shaped the financial fortunes of many oil producing countries. To address this, the Organisation of Petroleum Exporting Countries (OPEC) has looked to reduce the output of oil not just from their members, but non-members as well. Non-member Russia has shown its willingness to freeze its production of oil at present levels. Keeping production at current levels, they claim that this amounts to a cut once you take into account their plans for next year. OPEC is seeking a deal that would see its members reduce production by over a million barrels a day. If there is to be a cut in production, it will only work if non-members participate. OPEC have asked them to reduce levels by around half a million barrels a day. 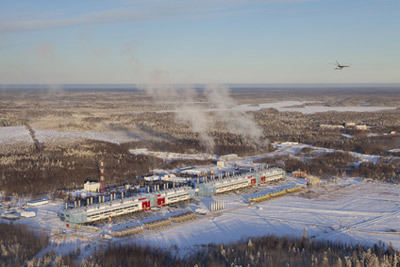 Russia, as a major supplier of crude oil outside of OPEC, has instead offered to freeze production at current levels. The result would be a fall in the number of barrels of oil produced in 2017 based on Russia?s current plans. An initial agreement that reduces the total number of barrels of oil each day is already in place. Acceptance is likely to happen at a meeting set for the end of November between members and non-members. It will involve talks on individual quotas. For any agreement to happen, Russia?s role in reaching a deal over oil production levels and a possible rise in oil prices. Outside of OPEC, Russia is the largest crude oil supplier. For several months Russia has been pushing for a freeze in production rather a cut. Doing this, it does not see any obstacle arriving at an agreement with OPEC. Officials have pointed out that there has been real progress in resolving differences. There is a view amongst OPEC members like Saudi Arabia that all parties will in time come around to the idea of a reduction. If this doesn?t happen then, the chances are that OPEC members will go ahead with their plans. In drafting its 2017 budget, Russia has based it on raising levels of oil production. By raising its forecasts on production, any capping of levels would be nothing new in cutting production. Keeping levels frozen would allow Russia to claim this as a cut based on its forecasts. What is clear is that the new wording from Russia shows that they are looking to convince OPEC members about capping levels. If there is no drop in the number of barrels of oil produced, there is a view that the price of oil will fall in 2017 say the International Energy Agency. A review by OPEC about the likely levels of supply and demand show that on their own, any reduction by their members is unlikely to make a dent on the record oil surplus next year. For a reduction to happen, it will require the agreement of non-OPEC members.